iUI Web Framework - This is a powerful UI library for developing apps for various popular mobile platforms like iOS and Android. The interface built through this library renders perfectly on almost every tablet device. You can easily fork it on GitHub to come up with a completely customized and extended version of the same. It has an extensive collection of ready-made interface elements that can be used and customized as per the project requirement. If you have a working knowledge of HTML & CSS, this library can get you started very quickly helping you build impressive app designs. You can also use ready-made themes available with this library. Metro UI CSS - If you're a fan of Windows 8 rich metro user interface, then you can use this powerful and easy-to-use library to give a same look 'n' feel to your website. It lets you build a responsive website with Metro UI elements in no time. This library contains a rich set of metro icons and interface-elements to quickly create impressive landing and squeeze pages. It also has a collection of advanced web interface controls like sliders and progress bars to make your website visually appealing. It also has a strong support for typography to customize content-heavy sections on the home page. It's one of my favorite UI libraries for web projects. 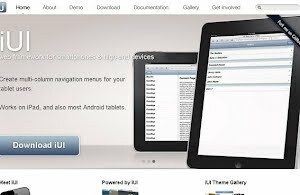 jQuery UI - It is one of the easiest and extremely flexible UI libraries for web developers. You can do event handling, widget creation and interface element transition very easily through it. The collection of interface widgets helps you integrate them quickly at the desired place in a web page. You can also add various visual effects to various page elements like animation, fade off and much more. It also includes a powerful utility called 'Widget Factory' that lets you create your own widgets to extend the existing library for custom design solutions. Its API is well documented and is supported by an active community of web developers. CSS3 PIE - One of the biggest pains of web developers is to make their websites compatible with different versions of Internet Explorer. This helpful library lets you implement several advanced CSS3 effects even for old IE versions. This way, visitors viewing your website through one of the old IE versions can see the web page in its original format without any kind of distortion. Adding this IE-specific CSS code does not affect the performance of your website. Through dozens of demo examples and documentation, you can easily apply IE-friendly visual transition effects on the key pages of your website. It's a must-have library for every web developer. jQuery TOOLS - This library is also used by several large websites to power their visual elements. The good thing about this library is that the design created through it renders well on IE6 as well. The base library file size is very small (4 KB) and doesn't put any kind of load on your existing code base. Some of the common or frequently used elements in this library can be accessed easily through a free content delivery network to speed up the rendering of a web page. All the interactive interface elements created through this library are completely responsive. You can also perform event handling of interface elements through this library. Animate.css - The name of this library perfectly justifies its functionality. Web developers must use this library while designing sign up forms and similar other sections where input fields and buttons are used on the web page. It lets you apply a large number of transition effects on interface elements to give a better user experience to the visitor. The library itself is tiny in size but the results are simply awesome. The visual effects applied through this library can increase your conversion rates significantly. But, you must take care of not overdoing it as it may backfire and annoy the visitors. I've used this library for several web projects.